At its event in San Francisco today, Lenovo announced the very first consumer phone to run Google’s Project Tango techonology: The Lenovo Phab 2 Pro. That’s Phab for phablet, guys. The device comes in gold and grey unibody metal designs and features a 6.4-inch QHD screen, a Snapdragon 652 processor, 4GB of RAM, and a 4,050 mAh battery. 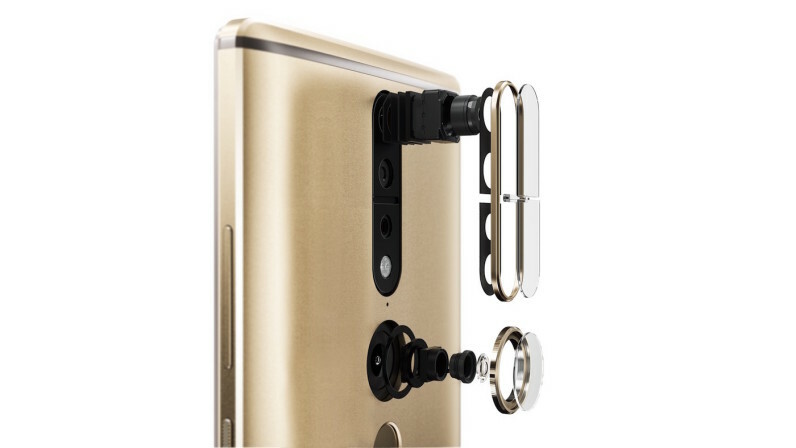 There are four cameras on tow, including a 16 MP rear shooter and an 8 MP front-facing camera. The highlights, of course, are the two Tango-specific cameras, one of which measures depth, and another to sense motion. There’s also Dolby Atmos 5.1 surround sound recording, if you’re into that. Lenovo showcased the device doing things such as trying out virtual furniture in your home before buying it, helping you navigate indoor stores, or even creating a virtual Rube Goldberg machine. It’s very much akin to Microsoft’s HoloLens, except on your phone. The Phab 2 Pro will be available in September for $499 unlocked, which seems like quite the reasonable deal given its specs. On paper it’s basically a flagship for every spec other than the processor, and that’s before your get to the potentially-revolutionary Tango technology. Emphasis on the ‘potential;’ Tango is a nascent technology, so we’ll have to see what developers make of it. But so far, things are looking good.